A welcomed Soul revival has been underway for some time now, spearheaded by Sharon Jones and Charles Bradley and the Daptone label. Praise be. Check out some old school soul done phenomenally well by Lee Field & The Expressions on the song Faithful Man. The band can be found on Truth and Soul Records. Shakes you to the core, don’t it? Jim White has been writing and performing his eccentric Southern-gothic and gospel songs for 15 years, and he never fails to entertain. Before becoming a songwriter White tried his hand at being a professional surfer, followed by a stint in Milan as a fashion model, before returning to music full-time and catching on with David Byrne’s Luaka Bop label. White’s songwriting has long exhibited unique lyrical tales and twists, all of which are given perfect voice with his singular vocal stylings. His song titles alone are captivating: God Was Drunk When He Made Me, Phone Booth in Heaven, Handcuffed to a Fence in Mississippi, Plywood Superman, and If Jesus Drove a Motorhome. You can check out the latter below at a recent performance for Portland’s Kink Radio. We love this (Tom) Waitsian variegated vantage the performance with its vocal-skewing device, bass ukelele (or whatever that is), tasteful electric guitar and melodica. Afterwards check out the touching Sunday Refrain, a fitting homage to Kimya Dawson and one other fine song. 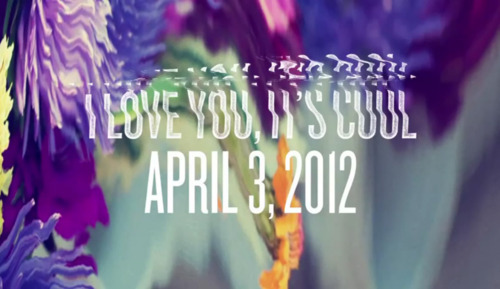 One of the best songs we discovered in 2011 was Conrad Plymouth’s Fergus Falls. Heck, on a couple of days we put the sucker on repeat and listened only to that song each of those days. We wrote about it HERE. Turn’s out Conrad Plymouth’s leader, Chris Porterfield, has in 2012 renamed/reformed the band into Field Report. Porterfield is amongst the famed alumni in legendary Wisconsin band DeYarmond Edison that also included Justin Vernon from Bon Iver and members of Megafaun. Porterfield/Field Report recently released a few tracks on SoundCloud, which caught the attention of producer Paul Kolderie (producer of similarly legendary Uncle Tupelo). Field Report is now working on a new recording with Kolderie that should be released mid-summer. We can’t wait. The immediate upshot of this news is that Field Report has released a fantastically refined restatement of Fergus Falls. As opposed to the more aggressive, anthemic Conrad Plymouth version, the song begins with finger-picked guitar that slowly builds with added synth wash, drum mallet and brush, then strings, horns (fully starting at 3:28) and harmonies. Beauty. We said this previously about the song’s lyrics: “‘This is the one in which I miraculously pulled out/ Of a free-fall dive over Fergus Falls, Minnesota. '” Sometimes we rejoice in victory. At other times it’s enough to celebrate the aversion of a downward-spiral disaster and to proclaim victory in survival.” This song provides positive proof that fantastic songs simply fall out of the sky at times. Check it out below. And after check out the only other Field Report song currently available, the heavily affecting I Am Not Waiting Anymore. Field Report is currently on tour with the magnificent Megafaun. Check out their tour dates way below. This week, Drag City released a 7′ single featuring two of our favorite performers, Bill Callahan and Mickey Newbury. We’ve written repeatedly about both. 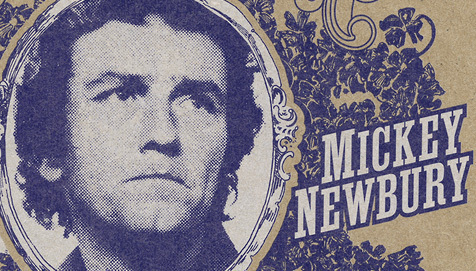 On the new release, Bill Callahan (who almost never covers other artists’ songs) covers Mickey Newbury’s all-time great 1973 track Heaven Help the Child, backed by Newbury’s stellar original. 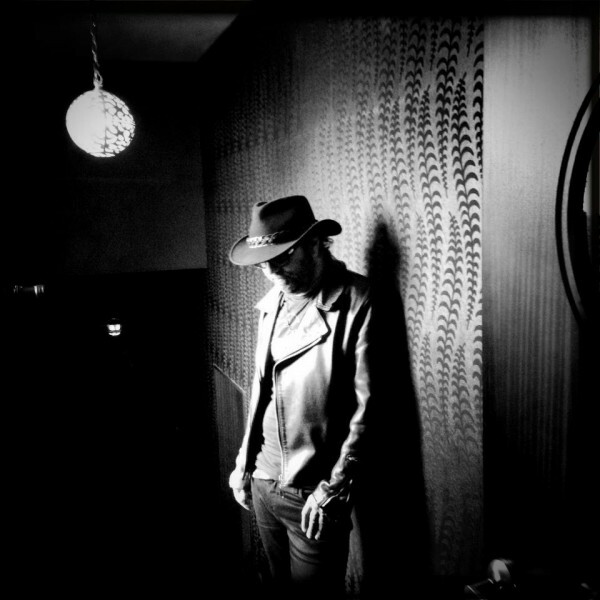 To top it off, Drag City and Callahan have released a black and white video of his cover below. Great stuff. While in Portland last week, the ascendant band, War On Drugs, took time to play for Kink FM radio. Check out their performances of Brothers, Best Night, Black Water Falls, I Was There, and a faithful and propulsive cover (at the very bottom) of The Waterboys’ great chestnut, A Pagan Place. 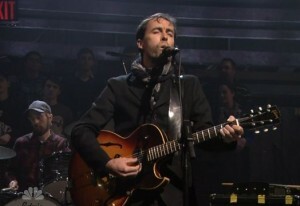 Two nights ago Andrew Bird showed up on the Jimmy Fallon Show and whistled (at 1:57 to be exact) while he worked on Eyeoneye off of his critically-acclaimed new album Break It Yourself. Check it out below (via the Audio Perv). The great Daniel Lanois performed last Thursday at Toronto’s Great Hall to celebrate his induction into the Canadian Music Hall of Fame. We say: what took ya so long, eh? Well deserved Daniel. In addition to being one of the best music producers extant, Lanois is one of our best songwriters and guitarists. But where he really shines is on pedal steel, where his soulful touch is unparalleled. Check out below his performance of Panorama and JJ Leaves L.A. accompanied by the equally great Brian Blade. Hello up there. After, check out Daniel’s songwriting, singing and the nonpareil feel and tone of his guitar playing on Fire (check out 5:19-6:00) and on The Collection of Marie Claire (check out in particular the chemistry of Lanois and Blade from 2:42-3:53) below. Finally, check out one of his fan’s favorites, Jolie Louise. Bear In Heaven’s new album I Love You, It’s Cool is out next week on Dead Oceans/Hometapes but you can hear it in it’s entirety on NPR right now. The band is prepping to hit the road on a North American tour (dates below) that will segue into the UK and Europe in May and June. They said we would never write about the Grateful Dead. All we can say is it took a National proclamation. This past Saturday night, the Grateful Dead’s Bob Weir asked some younger friends and fans to come down and play/attend a show at Weir’s own TRI Studios in San Rafael, California, all of which was webcast live on Yahoo! Music. We always had a softer spot for Weir’s tighter compositions and signature vocals, and actually owned one of his solo albums at some juncture, so we were intrigued by this new combination of talents. 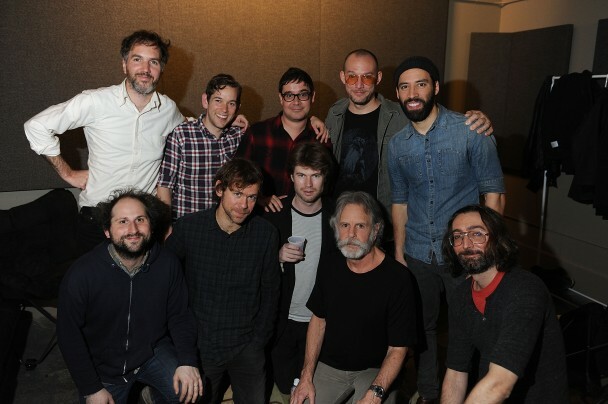 At the show on Saturday, Weir was backed by The National’s Aaron Dessner and Bryan and Scott Devondorf, as well as Doveman and members of the Walkmen, Takka Takka, and the Yellowbirds. About 100 people crammed into the tiny room, and the band played sundry Dead “classics,” along with covers of Bob Dylan, the National, and (of course) the great Cass McCombs. Our favorites were a cover of The National’s Daughters Of The Soho Riots and The Dead’s Uncle John’s Band, which you can check out below. The former proved that this National song is one for the ages. Weir started off somewhat shaky on lead vocal, but ultimately Weirded it up well (a little more volume on his vocals would have helped!! Come on mixers, step away from the pipe!) thanks in large part to the strength of his accompanists. The latter song, a Dead specialty, saw some of the younger generation shine (despite some seriously off-key singing from some audience members way too close to the mic). Check ’em out below along with the entire setlist after.